Shankar's 2.0 is considered as one of the most awaited films of this decade. Produced by Lyca Productions for a whopping Rs. 450 crore, the film stars superstars Rajinikanth and Akshay Kumar together for the first time. While Rajinikanth will be seen donning dual roles in the film as Dr. Vaseegara and Chitti: The Robot, Akshay Kumar portrays the main antagonist role of Dr. Richard. 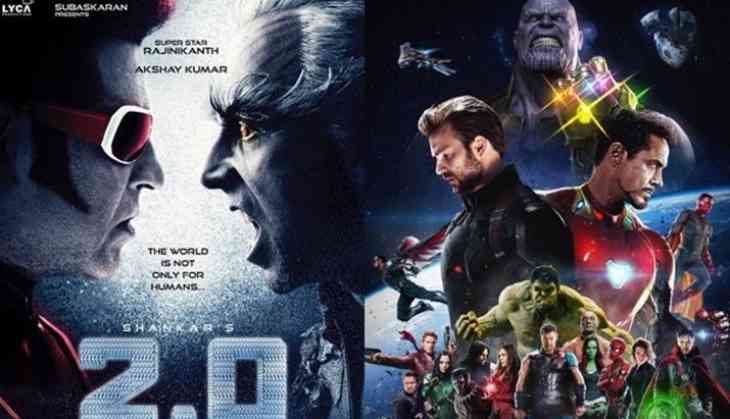 Though the makers of 2.0 have announced that 2.0 will release in April 2018, there are strong reports from trade that the Thalaivar, Akshay Kumar film will be clashing with the final installment of Hollywood series Avengers, Avengers: Infinity War on April 27 2017. However, looks like Bollywood actress Urvashi Rautela is confident that 2.0 will not face any trouble from the Hollywood film. In fact, the Bollywood Beauty went on to say that trailer of 2.0 will break the records set by Avengers: Infinity War's trailer records. She also congratulated Akshay Kumar and Rajinikanth's daughter in advance with a tweet. Am I the only one who thinks #2Point0 trailer will break #AvengersInfinityWarTrailer records ?congratulations @soundaryaarajni @akshaykumar congratulations!! !